Ambarella A12S SoC Allows For Cheaper 4K 30 fps Action Cameras, or Does it Not? Posted on August 26, 2016 September 3, 2016 by cnxsoft - 7 Comments on Ambarella A12S SoC Allows For Cheaper 4K 30 fps Action Cameras, or Does it Not? Some ultra cheap Allwinner V3 based cameras are advertised as 4K cameras, but in reality they are limited to 4K @ 15 fps, and on top of that the software have to extrapolate data to get to that resolution. So there are not usable for most people, unless maybe if you somehow need a 4K CCTV camera. 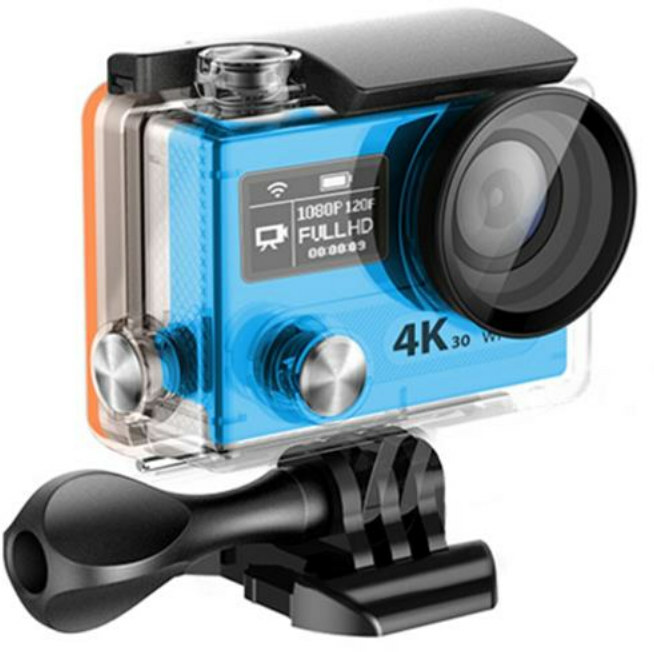 Currently one of the cheapest “true” 4K action cameras is Yi Technology / Xiaomi Yi 2 sports camera based on Ambarella A9S SoC, capable of recording up to 4K @ 30 fps, and selling for around $250. But there’s now a new wave of cheaper “4K 30 fps cameras” based on Ambarella A12S75 Cortex A9 SoC such as EKEN H8 Pro selling for $139.99, or Andoer C5 Pro going for $125.99 both of which use Sony 12 MP image sensors respectively IMX078 and IMX177. Instead of focusing on the cameras themselves, I’ve decided to check the SoC in details instead and its 4K capabilities. The SoC supports ThreadX and Linux. 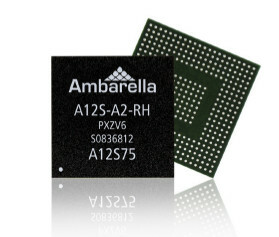 Ambarella, Inc. (NASDAQ: AMBA), a leading developer of low-power, HD and Ultra HD video compression and image processing semiconductors, today announced the addition of A12S and A9SE to its range of camera solutions for drones, or flying cameras. The Full HD A12S SoC family enables a new generation of entry-level flying cameras, including small form factor designs and racing drones; while the 4K Ultra HD A9SE SoC family is ideal for midrange designs. But as often happens, specifications may change over time, and now Ambarella A12S does support 4K 30 fps video too. Since the camera with the A12S processor are quite cheaper than the equivalent cameras based on Ambarella A9S, it’s likely the later still provides better quality and/or performance. I can assure you that it does do 4K, and it doesn’t employ the tricks employed by AllWinner or other chipsets. That’s odd that Ambarella does not mention 4K support at all. Have you seen them demo it or tested A12S cameras at 4K? I can’t find anything on Anandtech about A12S. I talked to the person at Ambarella in charge of the product briefs, and he assured me that the marketing collateral currently online is out of date. It will be fixed soon. The website is now updated with current information regarding A12S performance. Sorry for any confusion on this point. Hi jeff, does the ambarella support uhs-3 because all i can find is uhs-1 support. If [email protected] has a bitrate of 60mbps and uhs-1 has a max write speed of 30mbps, how does the soc write [email protected] true? Thanks for letting me know. I’ve updated the post. You are mixing megabytes/sec and megabits/sec.